Ability Links NSW Providers and Family and Community Services (FaCS) won the Premier’s Awards for Public Service in the Improving Government Services category after being jointly nominated earlier this year. Ability Links providers and FaCS were recognised for their work that contributes to improving customer satisfaction with government services, which supports the Premier’s priority to improve customer satisfaction with key government services every year. Linkers work to connect participants to information, resources, groups, education and employment services to best achieve the individual’s goals and dreams across New South Wales. 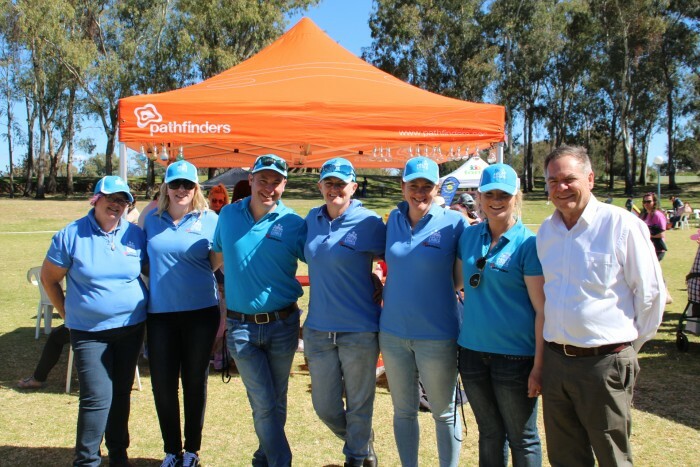 Not-for-profit and community services provider, Pathfinders, is honoured to be part of the organisations and providers being recognised, with their services assisting more than 260 participants this year in Inverell, Armidale, Glen Innes, Moree and Tamworth. Congratulations to all Ability Links providers and to our Pathfinders Ability Links team and staff who’ve helped the program positively impact the participants we work with and the communities we worth within. Pathfinders is a leading not for profit supporting disadvantaged children and families in the New England, North West and Mid North Coast regions. Every week we provide hundreds of families with the help they need to get back on their feet. The Pathfinders Ability Links team with Pathfinders CEO, Alan Brennan. To empower people to live with hope and equal opportunity to achieve their potential.